​​Anthony Davis' stance on the Celtics seems to be ever-changing. Previously the Pelicans' star was reportedly ​adamant that he would not join the Celtics on a long-term basis should he be traded there. He seems to be backtracking on those comments now, however, as Davis is apparently interested in Boston. Davis was asked about the Celtics being on his list of teams he's interested in, to which he responded saying that the C's are "on my list." The Pelicans may be quicker to offload Davis now that they have ​moved on from GM Dell Demps, who was fired on Friday after ​Davis left Thursday's game with a shoulder injury. The team was reportedly livid that Demps refused to accept any of the Lakers' trade offers for the 26-year-old. If Davis would consider signing with the Celtics long term then this will be an enormous storyline heading into the offseason because Boston GM Danny Ainge would likely make a strong offer to land the superstar. 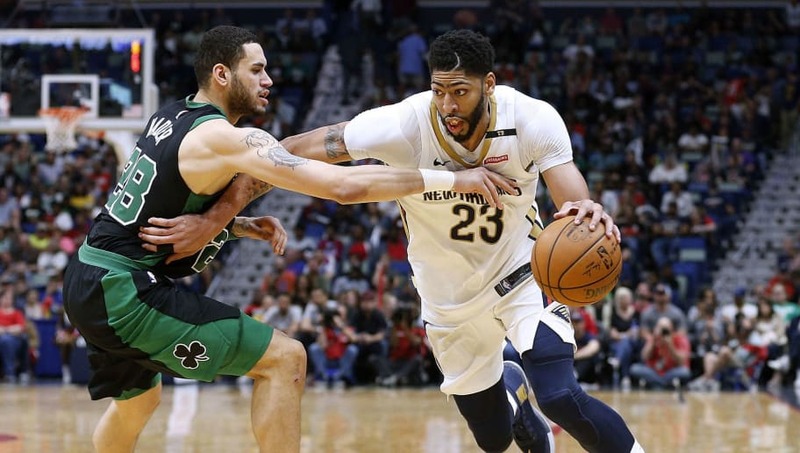 Adding Davis to the mix would instantly make the Celtics Eastern Conference favorites and with the Pels under new management in the front office, it could very well happen.